During its Direct this week, Nintendo revealed new fighters coming to Super Smash Bros Ultimate — and they may not be who anyone expected. Super Street Fighter II Turbo‘s Ken will join the game as his frenemy Ryu’s echo fighter. He’ll have many of the same moves, but also differentiate himself by being slightly faster and with a modified Hadoken. Incineroar joins as the evolution of Litten from the Pokémon Sun & Moon games. Both those will be available at launch. And, finally, the freaking Piranha Plant from the Super Mario series will be joining the roster as a playable fighter. The character will be DLC accessible by owners of the game who register it through My Nintendo by mid January. 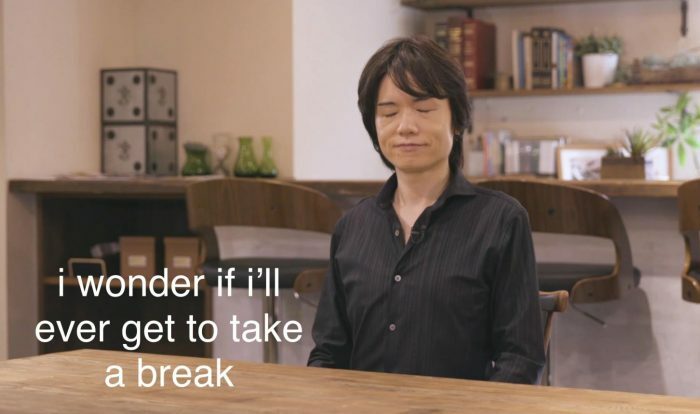 Sakurai, our beautiful fighting boi, subtly pleaded with us to rescue him from Nintendo’s clutches after he revealed that 5 more fighters would be joining the roster as DLC post-launch. Via a “Fighter’s Pass” that will run us $24.99, 5 more fighters, each with a stage and some music, will be released throughout 2019. He reiterated that there hasn’t been any work started on that DLC, so release dates are as good a guess for him as it is for us. Whew. Blink twice if you need help, Sakurai.